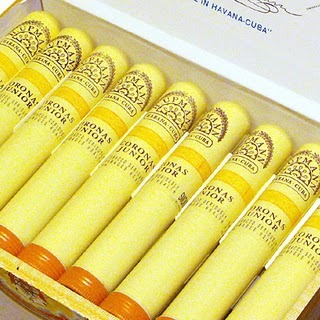 H. Upmann Corona Junior (Tubo) | Old Morris Tobacconist Victoria BC, Fine Cigars, Humidores and Tobacco Merchantile. A brilliant smoke. Guaranteed good for an hour and more, the Coronas Jr. Tubo is a creamy, nutty stick with generous blooms of smoke. Expert construction keeps it burning smooth and clean.